A special anniversary card deserves to have an extra special touch by adding layers and dimension in a big way! 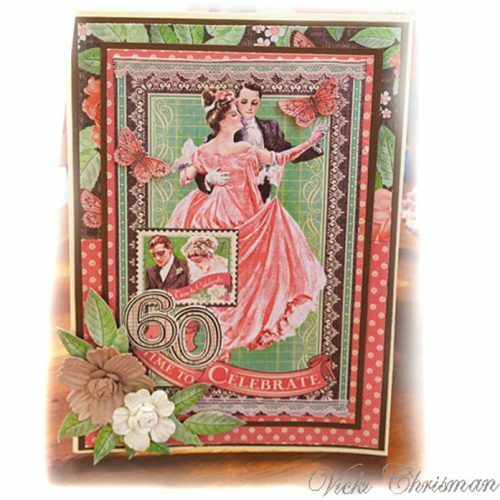 Today I wanted to share with you a bit about how I created this card for my sister and brother-in-law for their 60th Anniversary. Even though we couldn’t be there to celebrate, I wanted it to be a big beautiful card that let them know that we send them all our love and best wishes. When making a larger and more involved card like this one, I love creating it with lots of dimensions. 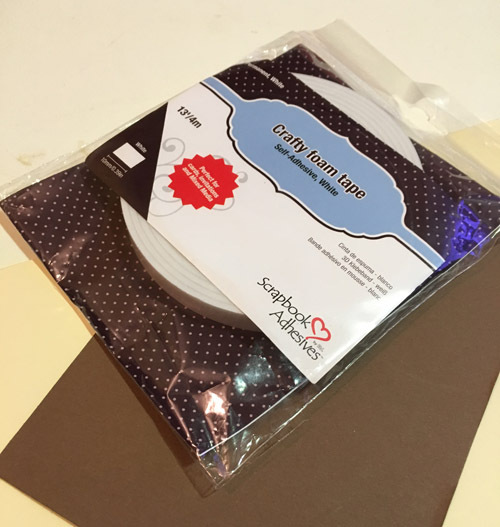 3D Foam Squares are great for embellishments but what about when you want to raise up a large matted piece? The answer is Crafty Foam Tape. It’s perfect for the task and so easy to use. Simply cut your pieces to the exact size you need. In this case, I used it to raise up the entire brown piece of cardstock that I built the rest of the card on. As I put together the rest of the card, I used my 3D Foam Squares White, Small to lift up the smaller pieces like the butterflies. I used Crafty Power Tape 81″ Dispenser to adhere the vintage lace. Varied sizes of Adhesive Dots were used to secure the other embellishments. 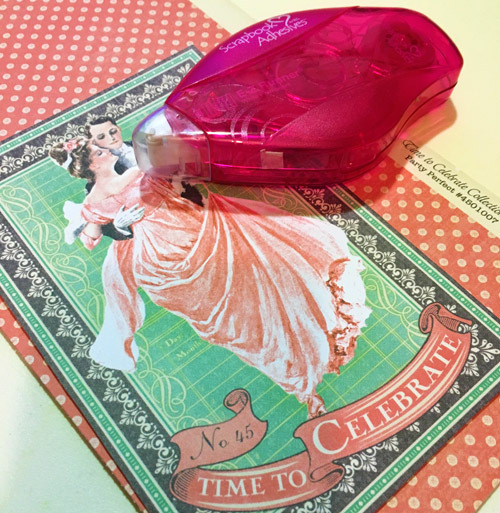 The general adhesive I used on this card was E-Z Runner® Permanent Strips Refillable Dispenser. When they receive it, I know they will see a lot of love and thought went into creating it. Having the right adhesive makes creating that much more enjoyable. Don’t forget we have a design team call going on! Interested? Please click: 2018 Design Team Call Post. This entry was posted in 3D Foam Squares, Adhesive Dots & Lines, Adhesives, Cards, Crafts & Tutorials, Crafty Foam Tape, Crafty Power Tape, E-Z Runner® Dispensers and tagged 3D Foam Squares Mix White, 3D Foam Squares Small White, Anniversary, Bazzill Basics Paper, Card, Card Making, Crafty Foam Tape White, Crafty Power Tape 81' Dispenser, E-Z Runner and E-Z Squares Combo Value Pack, E-Z Runner Permanent Strips, E-Z Runner Permanent Strips Refill, E-Z Runner Permanent Strips Refillable, E-Z Runner Permanent Strips Refillable Value Pack, Graphic 45, HH Double Sided Tape Runner Refill Strips Permanent, HH Double-Sided Tape Runner Permanent Strips 150ft, Jenni Bowlin, Vicki Chrisman. Bookmark the permalink.